And it has come down to this, that our generation must stand between the necessities of life and mindless greed. 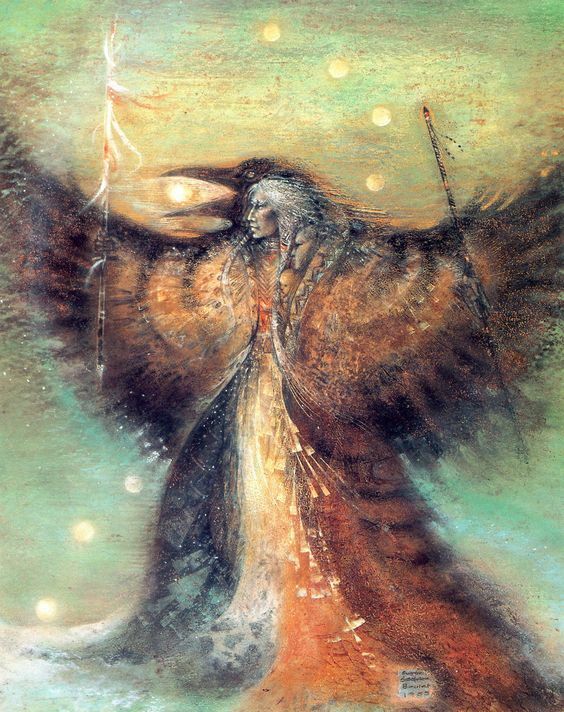 The thing is, when you stand in the sacred final space, determined to protect the necessities of life - the water, the love, the very air we need to breathe - you will find yourself fired upon. It is true in Dakota, and in the American voting booth, in the hospital ward, in the home and school. When you stand, the establishment will always try to push you down. They lie so beautifully. They have big guns. But when you stand, soaking wet, frightened, watching the blood count rise or the grades go down, fearing poison in the water whether you stand or fall - please remember, you are standing for us all. And we stand with you in spirit, even if we are far from your ground, or struggling with a different issue, or too frightened ourselves to ever get up. The world is burning, drowning, and I want to protest that while at the same time protecting the quiet, the strange little things, the moonlight. So I'm contemplating how I can set my words in the sacred space, like a peace sign held up. How I can tell about dying mountains and wing-clipped skies while at the same time honouring quiet, smallness, beauty. How to protest and protect at the same time. I am contemplating how to use my weblog as my space. Including here perhaps more fiction, pieces of dreaming. Yesterday, a group of Kiwis arrived at Standing Rock. They brought with them thermal clothing, food, and a guitar. Because it's not just warmth and nourishment that is needed, but spirit-rising. I can not be with them in person. But I am absolutely there heartwise, my feathers flying in the cold wind. Maybe I will bring story. 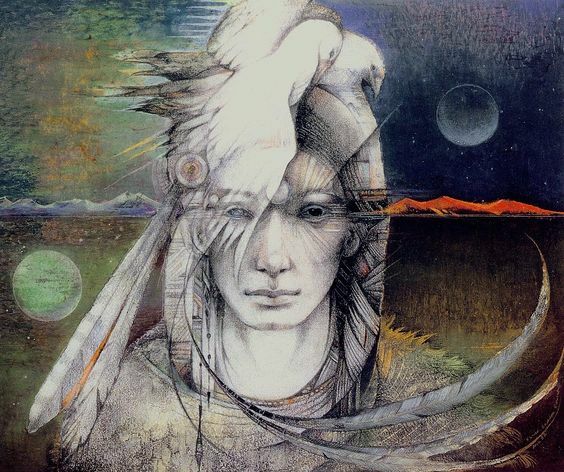 Art by Susan Seddon Boulet. I've had the second picture in my home for decades. words of hope are always welcome. words of sorrow, too, can be helpful. stories, definitely. and words that celebrate all the little things we love, which aren't really little at all, and which remind us of what is worth fighting for. I wonder if it can be powerful to remind people of beauty, of the little things, to lift them up. I remember reading Anne of Green Gables for the first time, while I was feeling anxious and a bit depressed. And suddenly I was feeling more light hearted, and laughing.